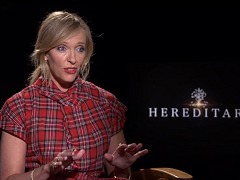 Press junket interview with Toni Collette conducted in Los Angeles to promote the theatrical release of "Hereditary". Toni Collette promotes "Hereditary" on "The Graham Norton Show". Other guests include Ethan Hawke, Aidan Turner, Jo Brand and Liam Payne. 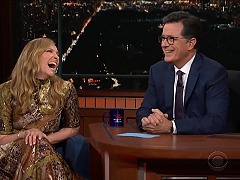 Toni Collette attends The Late Show with Stephen Colbert to promote the theatrical release of "Hereditary" in the United States. Toni Collette attends Good Morning America to promote the theatrical release of "Hereditary" in the United States.